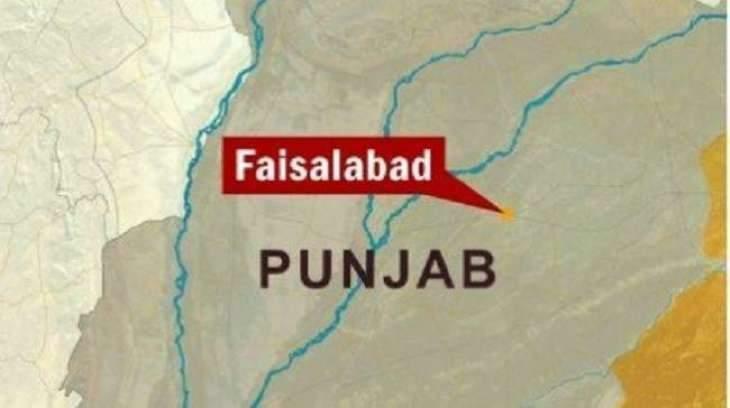 FAISALABAD, (UrduPoint / Pakistan Point News - 16th Apr, 2019 ) :Three pedestrians including a woman were killed while crossing roads in separate accidents, here on Tuesday. According to police, Imran of Chak No 321-GB was crossing the road when a speeding vehicle hit him. As a result, he was seriously injured and died on-the-spot. In the second incident, a speeding car hit Salamat Bibi of Chak No 110-GB when she was crossing a road near Chak 65-GB. She sustained serious head injuries and died on the way to hospital. In third incident, four-year-old Ali Hasan, son of Ramzan, was hit and killed by a speeding car when he was crossing a road with his father near Mohammad Wala. The police handed over the bodies to the families after completing necessary formalities.